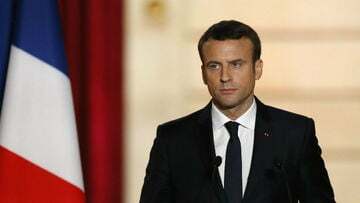 After less than two years, France’s youngest President, Emanuel Macron, has become the de facto leader of Europe but the object of violence at home. Having spent a total of thirty-odd years living and working in France, I am only too familiar with its government’s high-handedness vis a vis its peoples’ incomes. Recently, in an effort to set an example for the rest of the world when it comes to combatting climate change, which he has publicly championed, Macron decided to raise the tax on fuel at home, as a way of ‘nudging’ (as in Obama’s advisor Cass Sunstein’s social theory) the public into purchasing non-polluting but more expensive electric cars. 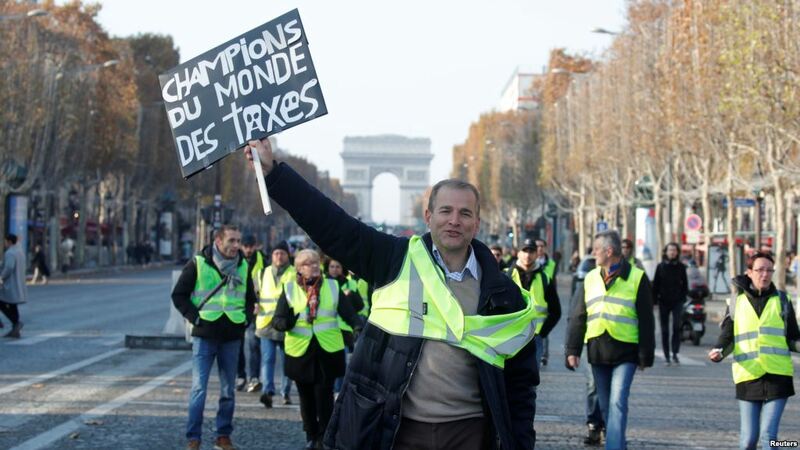 In a country where social benefits form the bedrock of family budgets, that turned out to be a major blunder: with no trade union coordination, thousands of French people are shouting ‘Non’! What makes this crisis more challenging than others is precisely the fact that it has no leaders: the usually fractious French are, for once, of one mind. Shouting Macron Must Go, an enraged crowd tore up paving stones and looted high end shops on the Champs-Elysées, site of the Republic’s carefully choreographed parades, and leading to the Arc de Triomphe dedicated to France’s fallen. These actions have nothing in common with the plethora of carefully choreographed demonstrations that have been part of French public life after the storming of the Bastille in 1789. At the G-20, Macron was forced to momentarily ditch his ‘Jupiter’ persona for that of Louis XVI, whose Queen, Marie Antoinette, was said to have advised her starving people to eat cake if they had no bread — before both were guillotined. Macron has been trying to steer the leaders of the most developed countries toward climate sanity, while teaming up with Angela Merkel to bring Europe into a tighter Union. As citizens in yellow vests rampaged at home, he stated from the safety of Buenos Aires (with admirable calm, it must be said) that ‘No merited discontent justifies violence’. We’ll see where that gets him back in Paris. Meanwhile, the standoff in the Kerch Straight between Russia and Ukraine illustrated once again the unpardonable ignorance (given the existence of Google and its maps), of the American media (Time actually reporting that Russia had invaded the Black Sea, which in fact is its home lake), while anchors ratcheted up the case against Donald Trump for having aspired to build a tower in Moscow at a time when Russia was ‘invading Ukraine’ and ‘taking over Crimea’. While ‘the little Emperor’ struggles to keep his crown, the American president is accused ex post facto of having allowed ‘the Kremlin’ to gather ‘kompromat’ on him, to be used at a time of its choosing. As Europe struggles to retain its enviable standard of living, the United States falls back on its demons: fear of the Other. The founding documents currently invoked (as has happened periodically for over two hundred years) warn of the ability of foreigners to affect America’s destiny. Anchored in the war against the British Monarchy, it was soon extended to Papal worshippers, and gradually, even as the country gathered in people from across the planet, to those still ‘over there’. Only by being ‘over here’ may individuals lay claim to acceptance. As Mexico installs its long-awaited progressive President, Macron’s crown wobbles, while the American businessman turned president is accused ex post facto of consorting with the enemy.